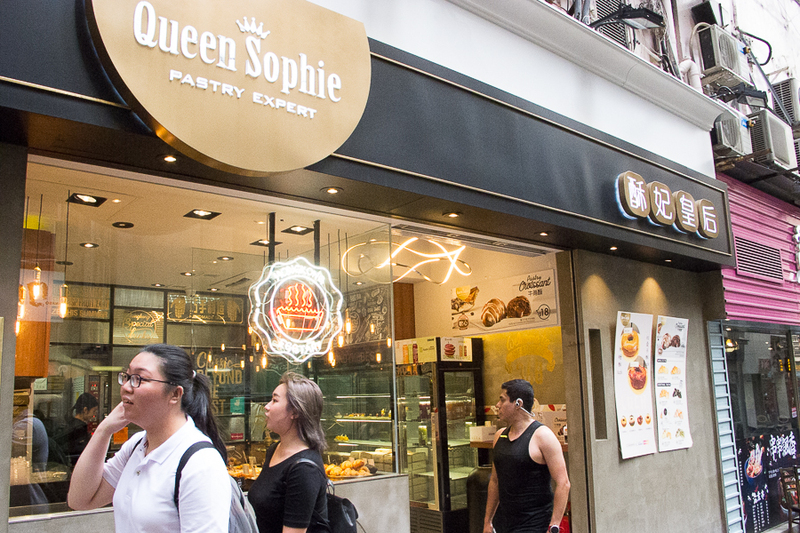 [Hong Kong] Specialising in crust pastry baked goods, Queen Sophie 酥妃皇后 touts itself as the Queen of Pastry and a Hong Kong Legend. 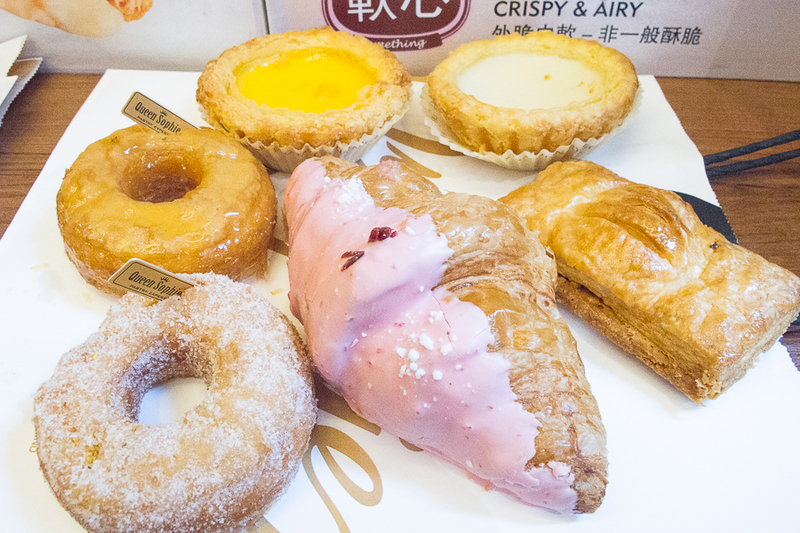 The bakery is named after the owner, Sophie 蘇菲 (su-fei) which in Cantonese sounds like pastry (酥 also pronounced su). 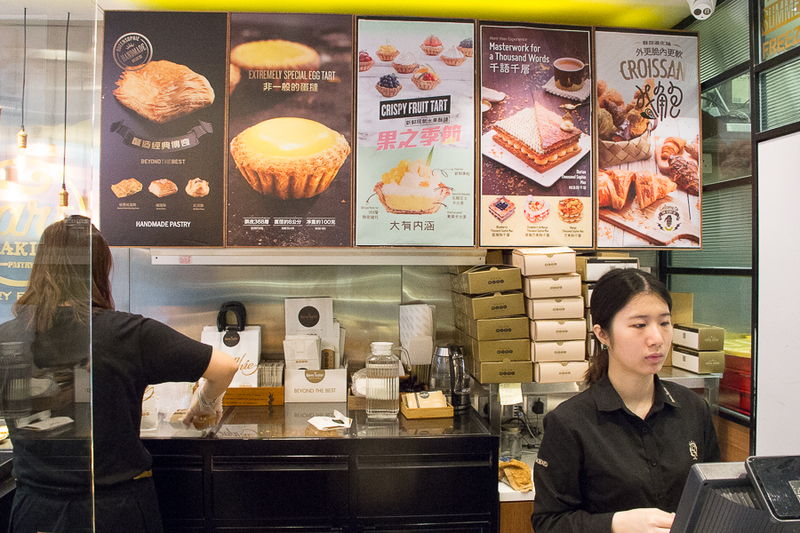 Most tourists would head over to Tai Cheong Bakery 泰昌餅家 or Honolulu Café 檀島咖啡餅店 for their egg tarts. It is always good to know there are many alternatives out there. 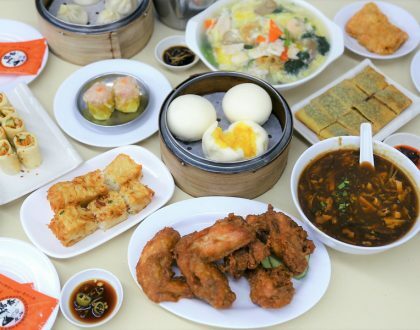 Located along a quiet street in Sheung Wan, this is their Queen Sophie’s 2nd shop after their first successful shop in Kowloon City. 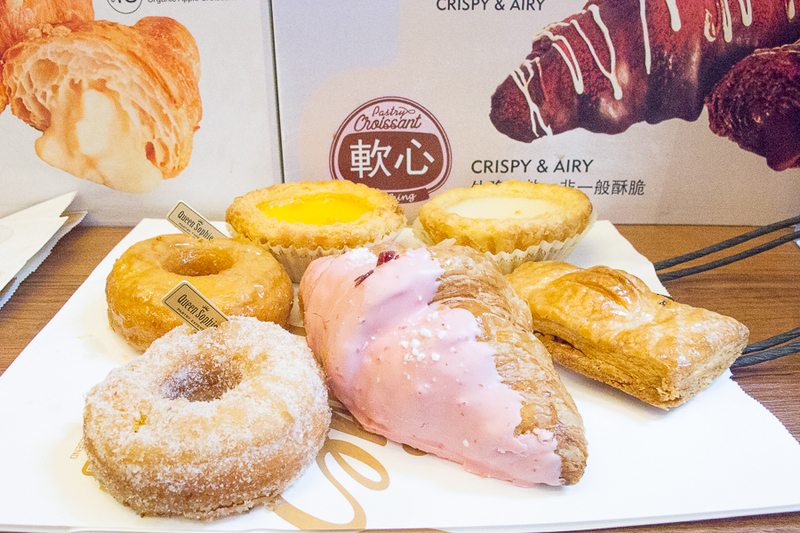 The tiny bakery produces 30 kinds of freshly baked pastries, with varied items coming out the oven daily. 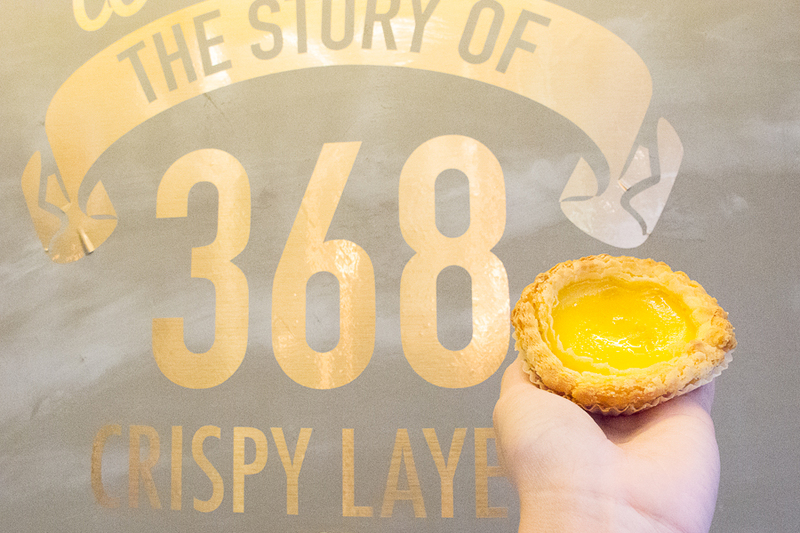 A relatively new player to Hong Kong’s food scene, Queen Sophie boasts of their 386 crispy layers in their egg tarts – which had me in disbelief. Can there be that many layers in one tart? 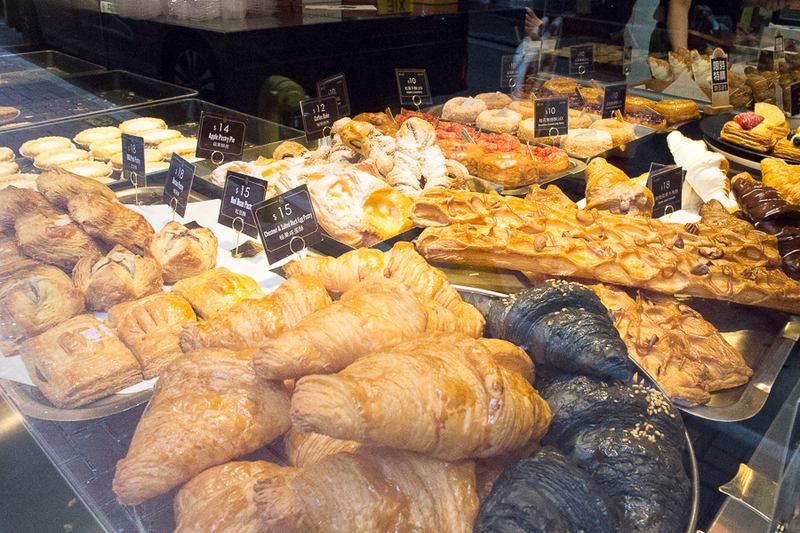 The bakery resembles a typical western bakery, with all their baked goods displayed neatly by the glass window. 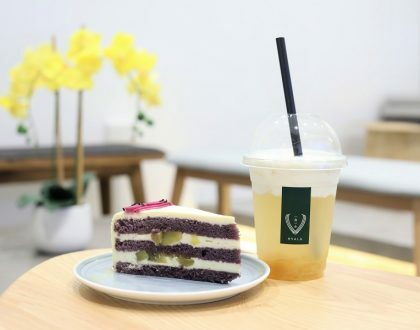 There are no seats available as it is more of a take-and-go place but there is, however, a small standing tabletop area if you wanted to eat your pastries on the spot. I was never really into the Portuguese egg tart craze years ago as I am normally not a flaky pastry person since I find them oily and too “jelat” (rich). 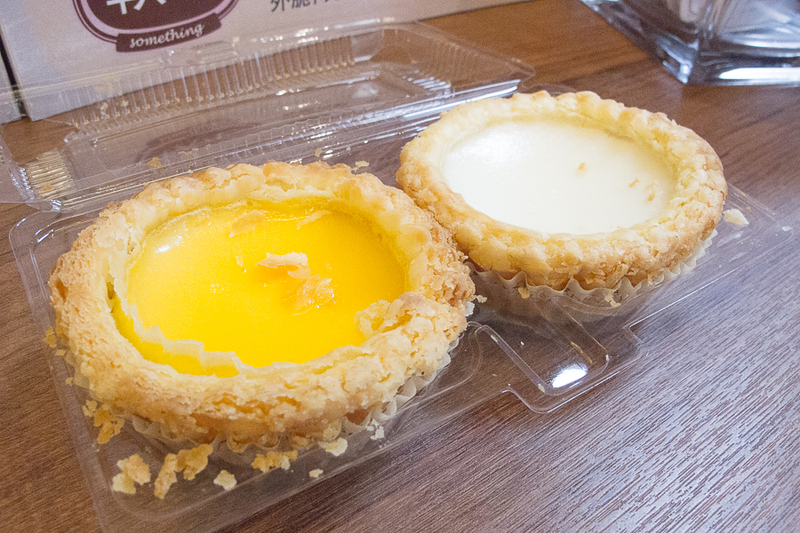 However, their egg tart was one of the most delicious egg tarts around. The crust was flaky and airy and I was seriously beginning to believe that there was indeed 368 layers! Melted-in-your mouth, the flaky pastry was scrumptious. The milk tart version had a less egg-y and lighter taste. One word of warning – the crust crumbles very easily so proceed with care. 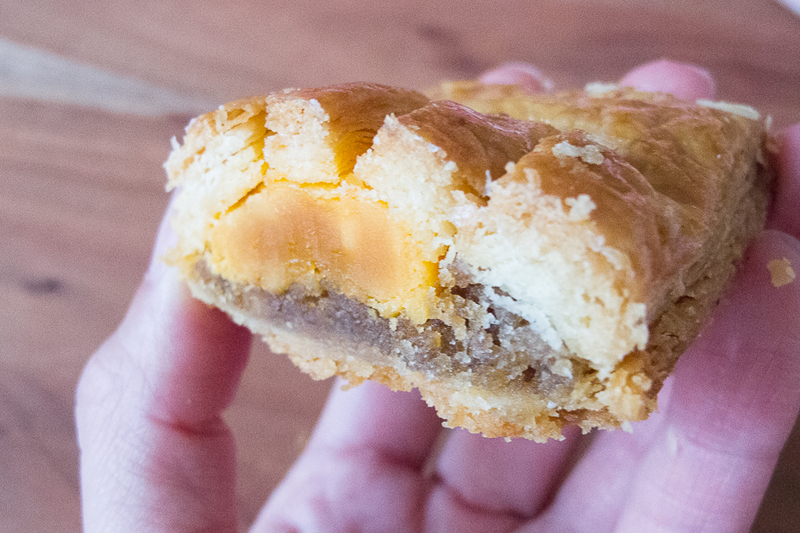 The Chestnut and Salted Egg Pastry (HK15, SGD2.60) is a twist on the local favourite, a crumbly pastry version of the traditional Lotus Paste with Salted Egg Pastry (蓮蓉蛋黃酥). Instead of lotus paste, chestnut paste was used, which resulted in a less sweet version. This one is good if you enjoy salted egg in your sweet pastries. 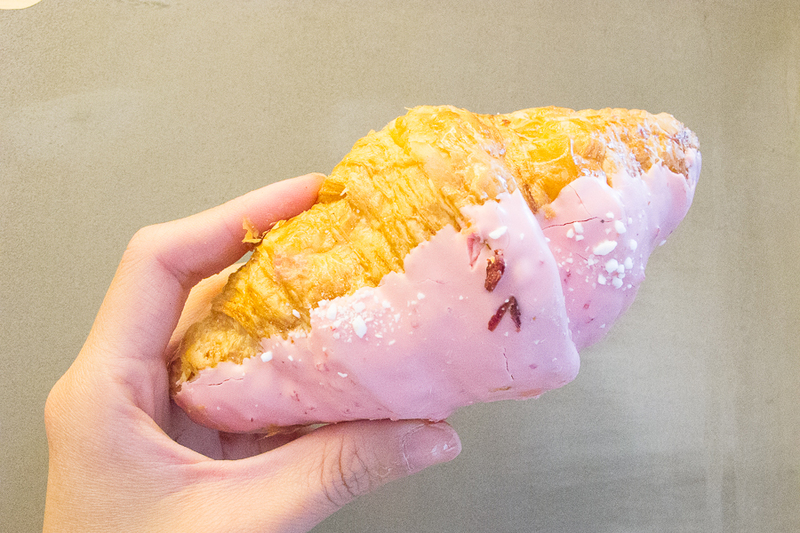 The Strawberry Croissant (HKD18, SGD3.10) had the right texture, although I wouldn’t say they are the best. The letdown was the strawberry ganache on the top that tasted slightly waxy. The strawberry cream filling inside was actually quite nice, just the right amount of tartness. 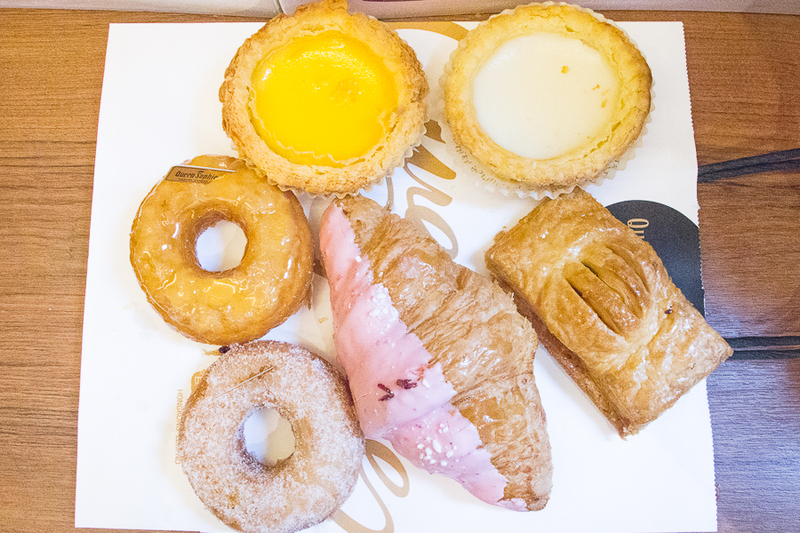 I also tried the Osmanthus Caramel Pastry and Passion fruit Pastry HKD10 each (SGD1.70). A pity the Osmanthus Caramel Pastry had too much dusted sugar for my liking and drowned the taste of osmanthus. The Passion fruit Pastry was appetising with a good balance of sweet and sour. After putting the pastries through the “overnight test”, the crusts are still airy and still tasted similar to how they did the day before which was impressive for these type of crust pastries. I have been craving for their egg tarts since my last visit there. 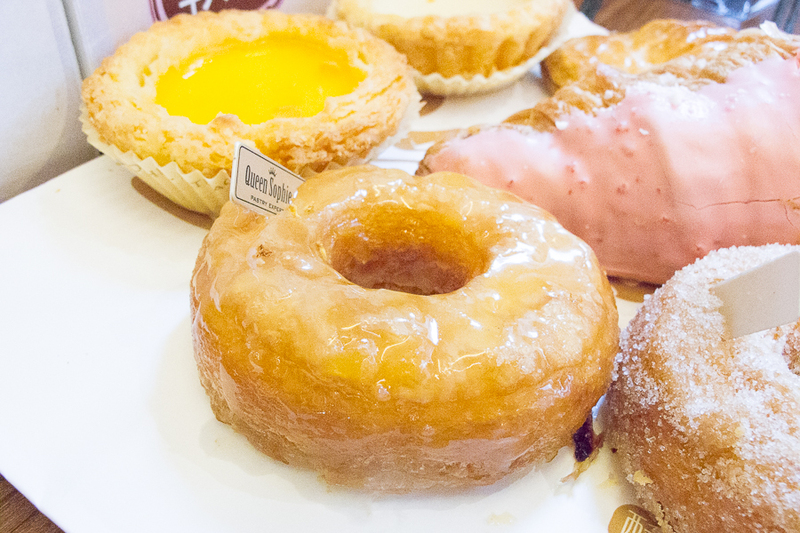 My friends who taste-tested their pastries have all agreed that we could easily pop more than an egg tart each without feeling too heavy. Photos do not do justice to how their crust actually taste. Personally, I have never tasted tarts anything like Queen Sophie’s and their pastries are on my highly recommended list. They now have a takeaway outlet opposite Kam Wah Cafe in Mongkok! 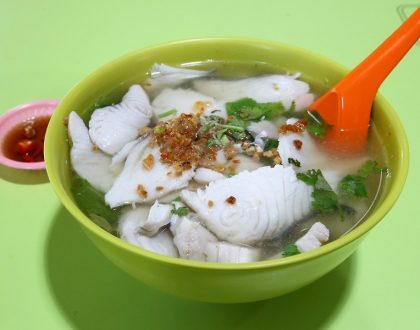 Skipped the egg tart in Kam Wah and went for this. Totally don’t regret it a single bit even though I had mine for breakfast the following day! The milk and egg custard was so smooth! I think this beats Tai Cheong egg tarts for me!